HOW TO INSTALL ADHESIVE-FREE WINDOW FILM? It is very important that the glass be free of debris and the surface completely smooth. **You may want to use a scrapper or razor blade to remove any paint splatters or hard materials that might be stuck to the surface. Completely wetting the glass will make it easier to position the film and squeegee out air bubbles. Remove the film from the backing paper. Carefully remove the film from the backing paper making sure that the cling side of the window film does not touch itself or anything else as it might collect dust and dirt from other surfaces. **Make sure your hands are clean and free of any dirt or oil. Position the cling side of the film on the glass. Use your hand to smooth out any large bubbles. The film will “float” on the glass for you to move into its final position. Wet the front of the film and squeegee out all air bubbles. It is easier to squeegee out air bubbles if you wet the front of the film with your soapy solution before squeegeeing. The film will need to be trimmed to allow a 1/8 inch area between it and the window or door frame so that you can squeegee the water out. Removal and Storage for Reuse. To remove the window film, simply peel the film from any corner. 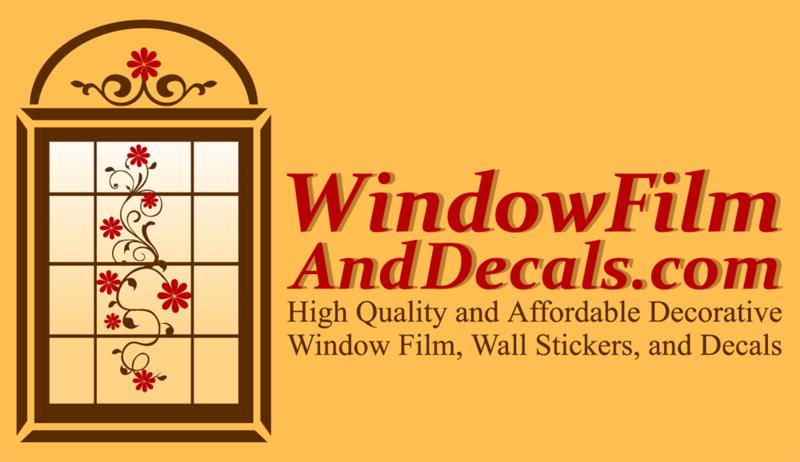 When not in use, the window film must be replaced and stored on the original backing paper. The side of the film that touched the glass should face the glossy side of the backing paper.